I was quite excited when Canoncamerabuzz asked whether I was interested in reviewing some gear for CanonUK. I said I was happy to either trial some pro gear at weddings and write about that over at MTP, or compacts privately and write about those over at this blog. 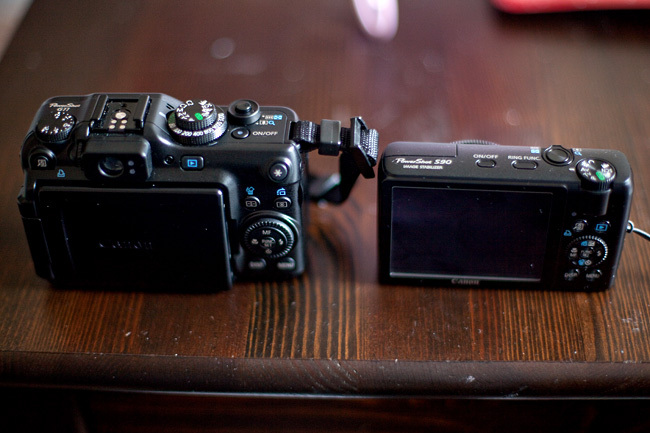 I must admit that when I received the Canon Powershot S90 for my trial, I was initially a little bit disappointed that it wasn’t, say the 1Ds MkIII, and kind of cursed myself for saying that I’d be happy to trial compacts as well. But funnily enough, within 5 minutes of playing with the S90 on Christmas Eve when I (quite fittingly!) received it, I did a complete 180 and was absolutely blown over. As it happens, only a little while back I purchased the Powershot G11. I really wanted a near enough compact sized camera, which I could carry around in my pocket and take to music gigs etc, which would have full manual control and the capability to shoot raw. To be perfectly honest, I didn’t really know that there were other options out there than the G11 (and the previous models) for what I wanted, so I didn’t really even look around for anything else. Well as it happens, the S90 has exactly the same sensor as the G11, only everything is packed into a smaller body (nearly as small as my Ixus), and the lens is faster at f2 compared to f2.8 on the G11. The question I’m asking myself now is: how did I not even know this camera existed? Obviously being smaller in size, there are less controls on top of the S90 than the G11 (and lets be honest, it’s these controls that are like a siren call to us photographers looking for a compact). But all that is forgotten once you discover the two click-stopped direct control rings on the S90, one of which is at the base of the lens and is SO very satisfying to use – from setting the aperture to any other functions you might want to assign to it. Now, after having used the S90, I feel a little bit at loss with the G11 without the nice ring around the lens, what a silly thing to omit from that particular camera. 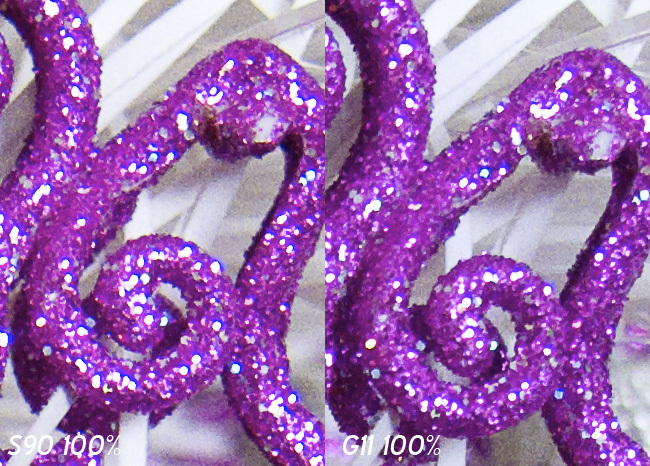 There is really no difference in the quality that these two cameras produce. I like to shoot wide open where ever I can, and both of these cameras allow for me to do that, but the faster lens on the S90 does make a huge difference to me. 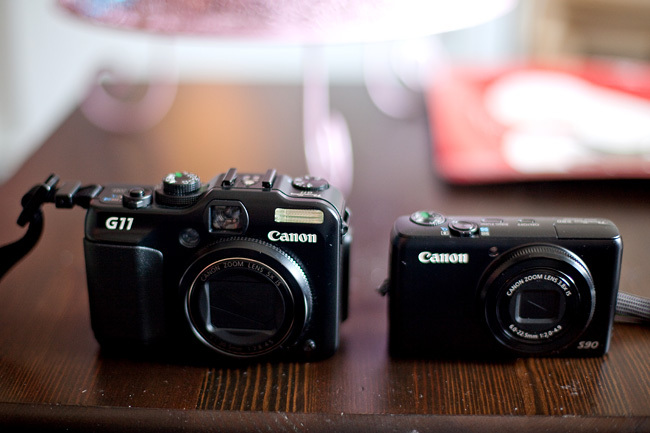 It also means that it doesn’t really matter that much that the ISO range isn’t as wide as on the G11. The only ‘negative’ on the S90 I can think of is the shorter zoom at 3.8x as opposed to 5x on the G11. Unfortunately I don’t have very many ‘proper’ samples of photos from the S90, as for some reason the battery charger was omitted from my box – and the battery didn’t fit any of my other gazillion canon battery chargers. 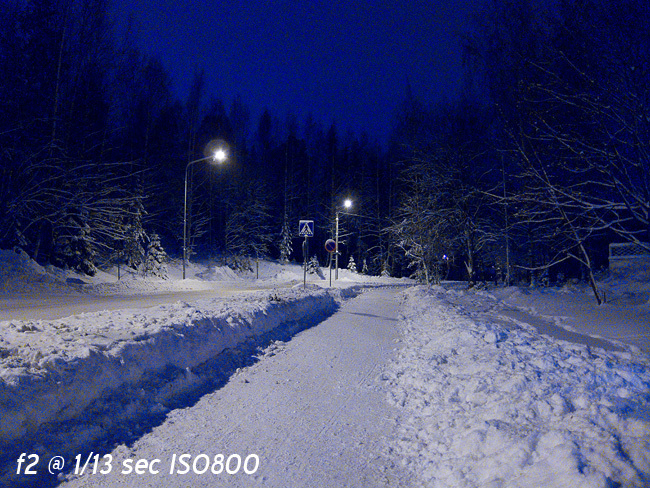 I did have the camera with me in Finland, and the battery lasted approximately 2 minutes outside in -16C. (So it’s safe to say the camera/battery is not really the best option for ‘extreme’ conditions). I did manage to snap a few pictures on New Year’s Eve though. The picture below was taken nearly at midnight. It was pitch black, apart from the street lights, but the S90 didn’t really have a problem. These sort of conditions also show what a difference the ability to shoot raw on a compact makes. Happy New Year… in Paris they wish it all January so I'll allow myself… me and hubby are thinking about buying a reflex camera… the same brand as yours, but not the professional one though. Thanks for the review. I really need a small camera I would have never thought of the S90.